But from the incident, he suddenly got the inspiration why not creating his own signature fragrance that he has learned thru his 5 years experiences in the fragrance industry. 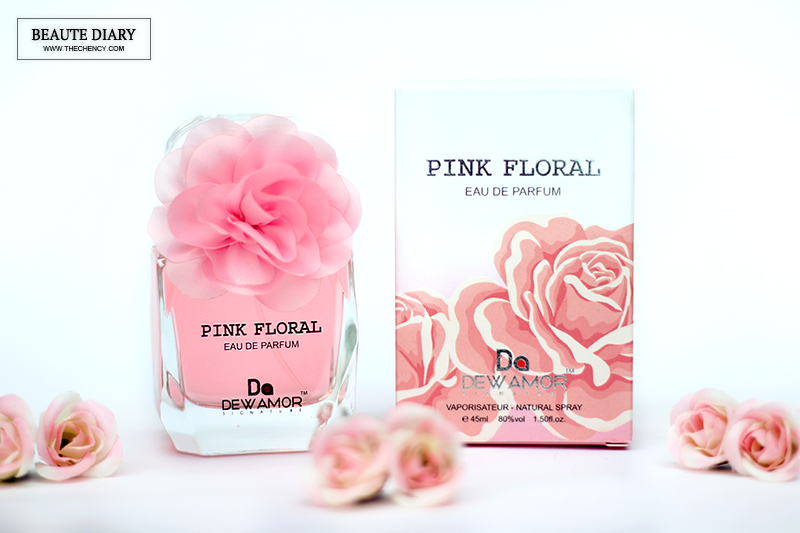 And this is how 'Pink Floral by Dewamor' has born to the world. 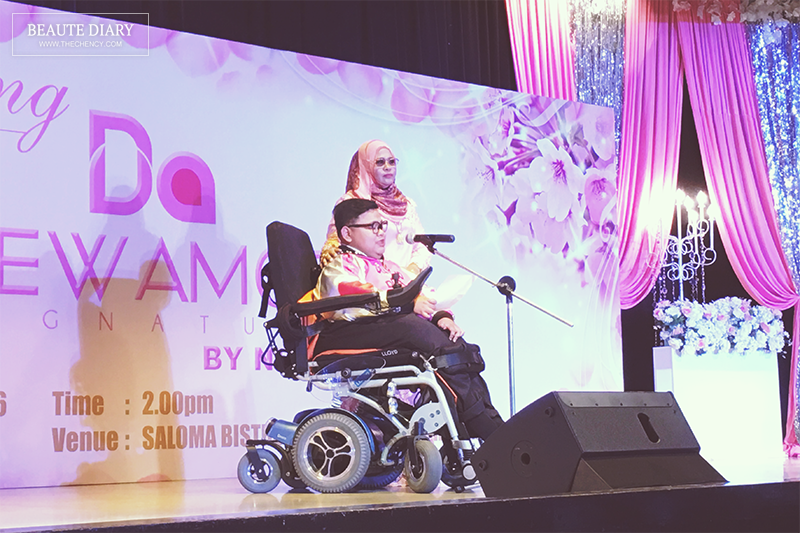 The founder of Dewamor, Mr.Mohd Khairul Nizam Bin Wahidin and his lovely mom, Puan Norizan. 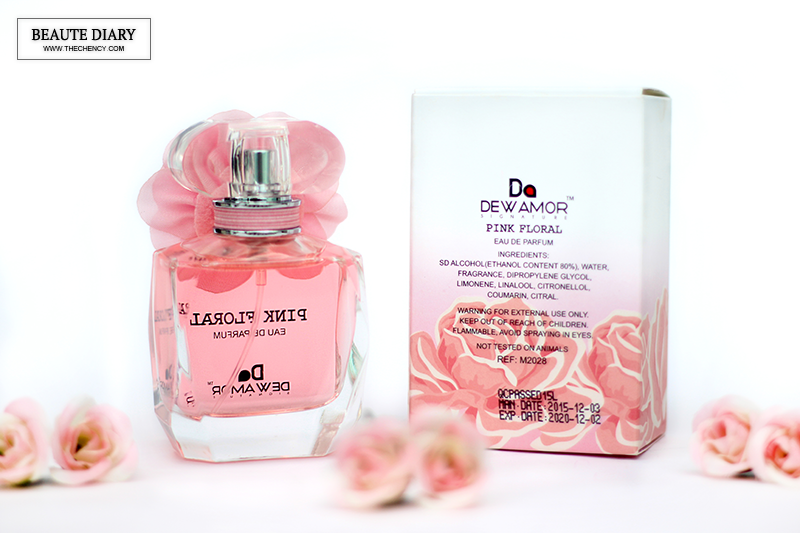 The brand name, Dewamor is the combination of two languages. Dew means 'Embun' in Malay while Amor means 'Love' in Itali; like a love from Romeo to Juliet or from son/daughter to a mother. It's an appreciation and love to the one who you're caring. 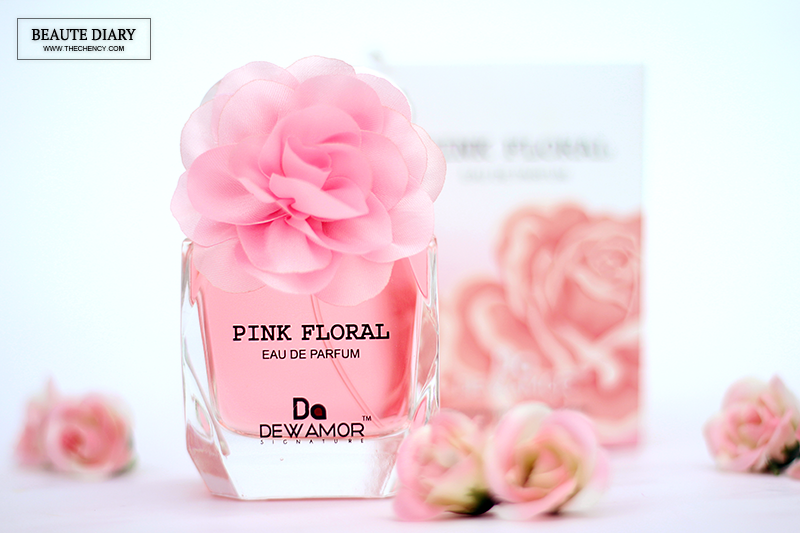 Obviously, the theme color of this fragrance is pink which delivers a sweet and feminine message on the first sight. The bottle of design is inspired by the replica of diamond, rectangular with the crystal diamond cut at the edge makes it looks elegant and classy. 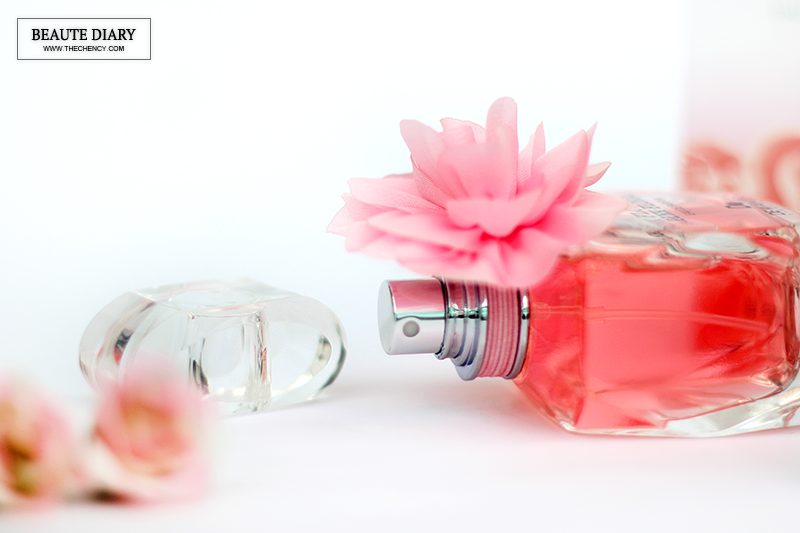 On the spray lid, it has a beautiful pink flower that adds embodying the sweetness touch to it. 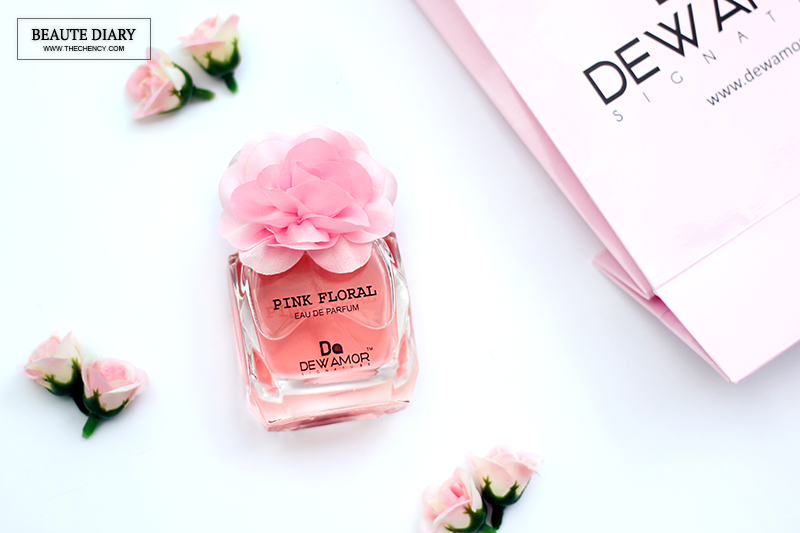 The secret formula of 'Pink Floral' EDP starts with the essential extracts of Rose and Blossom absolute with solar aromas. The top note opens with a floaty feeling of Praline and Vanilla that giving a fresh and sweet glorious, like it falling in love all over again. For the middle note, followed by Rose, Blossom and Strawberry provides an extraordinary scent and possesses particular beauty. It likes awakening the deeper sweet and elegant yet seductive sensuality. As for the base note, it has Musk, Amber and Vanilla add a touch of whimsy and these note is the reason to make the fragrance last up to 10 hours. I love the packaging! So lovely and sweet. But wondering if the sweetness scent overpower floral aroma? I bet this smells sweet. The packaging so sweet! What a pretty bottle of perfume with an inspiring story behind it. I hope that I have the chance to smell the scent! Hi is a person worth of admiring. His limitations don't limit him to get to fulfill his dreams. I would like get that perfume. The bottle looks beautiful. 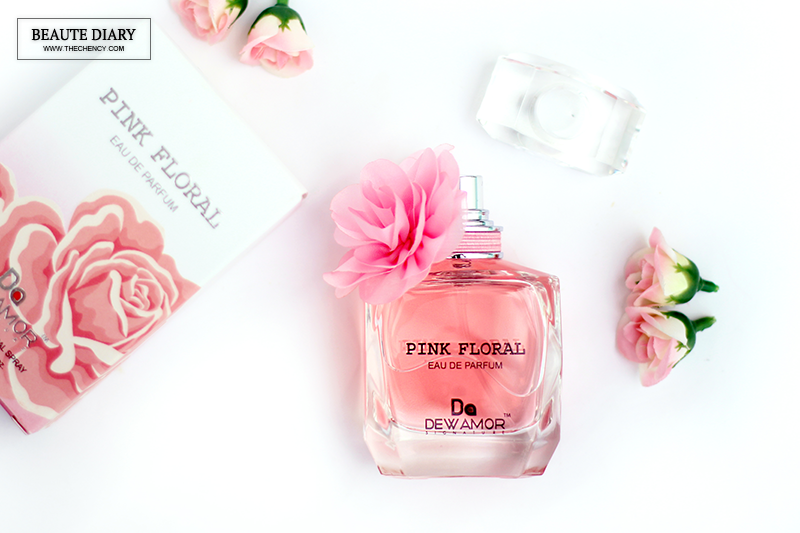 I love the romantic packaging and sweet floral scent, so pink and feminine. The florist was absolutely lovely and kind. Would use these guys again to send thoughtful bouquets to my clients. Prefer using a local business to Deliver Flowers over the large delivery chains.